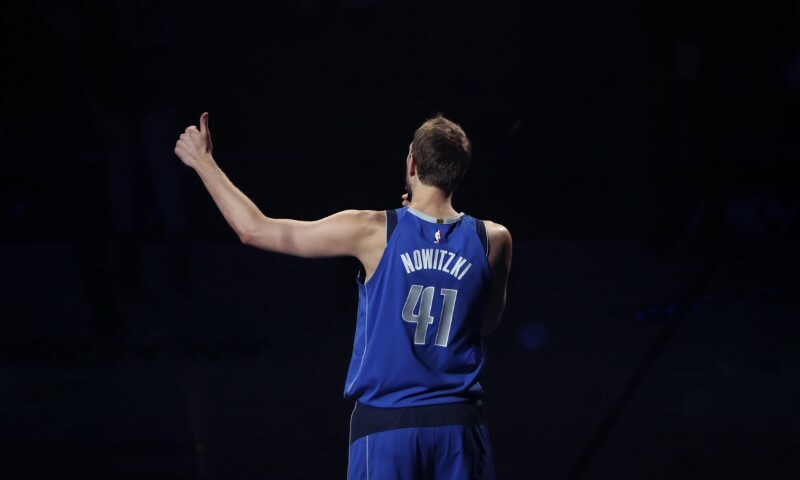 In the final home game of a legendary career, Dirk Nowitzki gave an exuberant sellout crowd one final show with a season-high 30 points in the Dallas Mavericks' 120-109 win against the visiting Phoenix Suns on Tuesday. He secured his season high in points with a straightaway 3-pointer, his fifth of the game, early in the third quarter for 22 points. That was followed by a rare slam dunk that elicited howls from the crowd and a big smile across Nowitzki's face. Suns veteran Jamal Crawford wasn't going to let Nowitzki totally steal the stage. He put in seven 3-pointers in posting a season-high 51 points — one off his career best — with 26 coming in the fourth quarter, to get the Suns as close as 105-100 with 4:20 to play. But on this special night, Nowitzki turned back the clock, and so did the crowd as it chanted "M-V-P! M-V-P!" Nowitzki won the league's regular-season MVP award in 2006-07 and earned NBA Finals MVP in 2011, when he delivered Dallas its lone championship. The future of the Mavs (33-48), rookie Luka Doncic, also didn't disappoint, notching his eighth triple-double with 21 points, 11 assists and 16 rebounds. He moved into sole possession of third place for most triple-doubles by a rookie.